Ask the UN to include animal rights in its Universal Periodic Review! 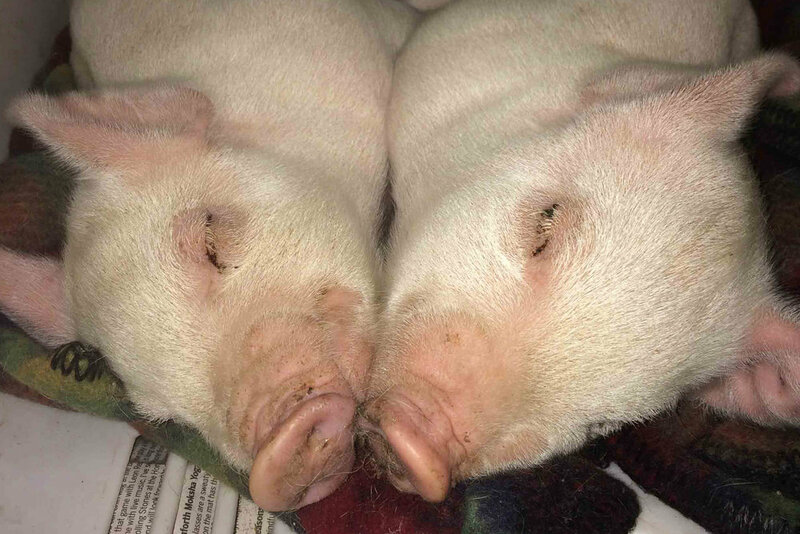 Noel was born on a cold winter night inside an Ontario pig farm. 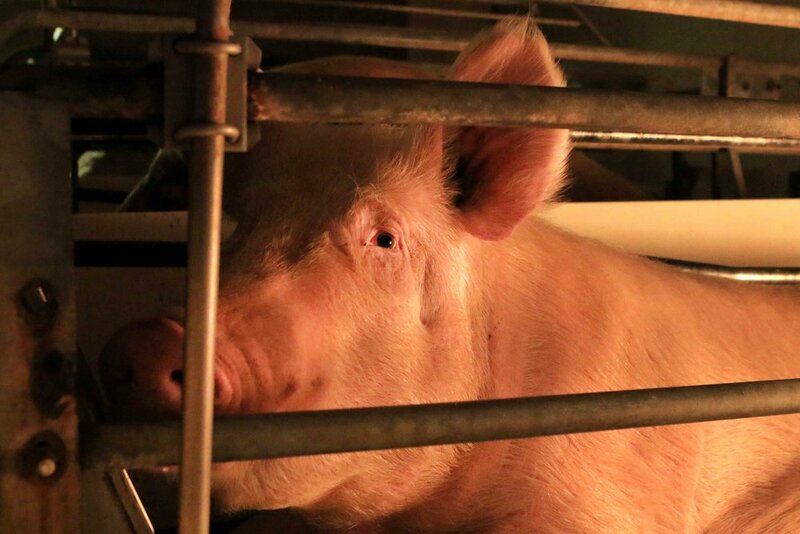 Like all the other piglets, his first experience of the world was a hard, grey farrowing crate where he was separated from his mother by metal bars. Mothers pigs are confined so tightly they cannot turn around and are forced to lay in their own waste. 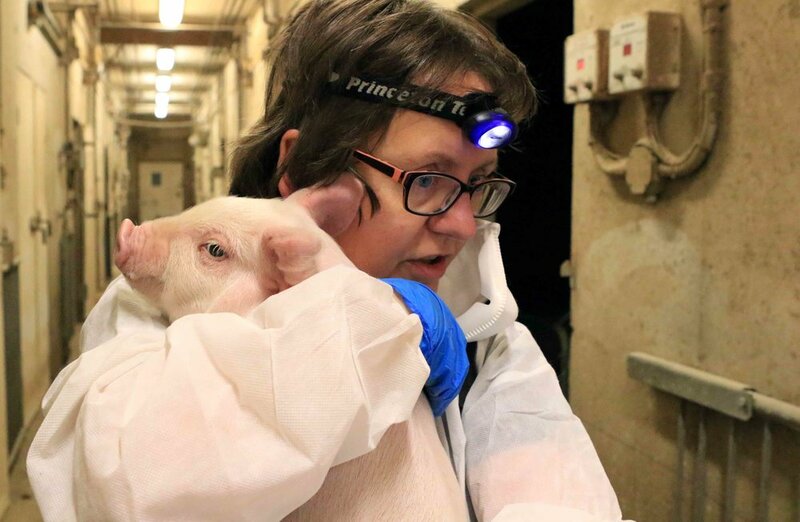 Due to repeated forced breeding, many female pigs develop horrific prolapses which cause extreme pain and suffering. 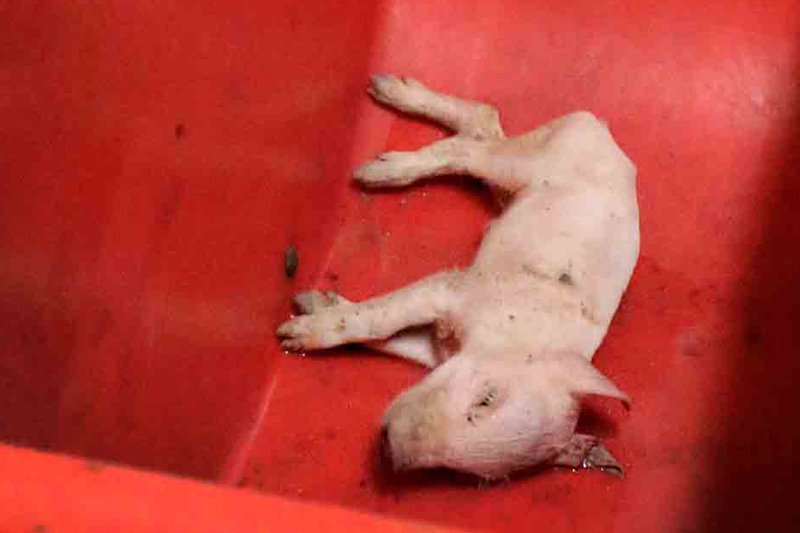 Baby piglets die agonizing deaths from infection, malnutrition and crowding. Many are discarded like garbage. When Noel was born, the date of his execution had already been planned. He was destined to spend six months confined in the filthy, crowded barn before being loaded onto a truck and sent to slaughter. But instead, something amazing happened. Activists with DxE Toronto entered the barn where Noel was held. They took him and promised him a better life. They brought Noel through the cold and drove him to a warm sanctuary, where he received veterinary care. He learned to play and explore, he made new friends, and he slept in warmth and comfort for the first time in his life. “Noel needed round the clock care, so every 3 to 4 hours I was tending to him, making sure he ate and was comfortable. His bed was right next to the furnace, he absolutely loved the heat. For the first 2 days it was stressful for us both, he was weak, and needed help eating. On day 3 there was a breakthrough - he looked up and looked right at me! In that moment, I saw Noel, a "someone", an animal with a personality, who finally felt safe and knew me as his caregiver. With your support, DxE has rescued dozens of animals like Noel from horrendous abuse.